A warm smile and concerned friendly face are the hallmarks of our Rabbis when visiting patients, in the various hospitals, senior homes, and prisons around the areas. Our volunteers provide a listening ear and a caring heart to the hospital bound, offering support with the utmost sensitivity and professionalism. They are there in sensitive times to offer spiritual guidance, whether it is through a prayer or a blessing. 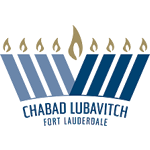 To arrange a visit, please call our office at 954-568-1190 or email office@chabadfll.com. In case of an emergency call 954-529-3688.